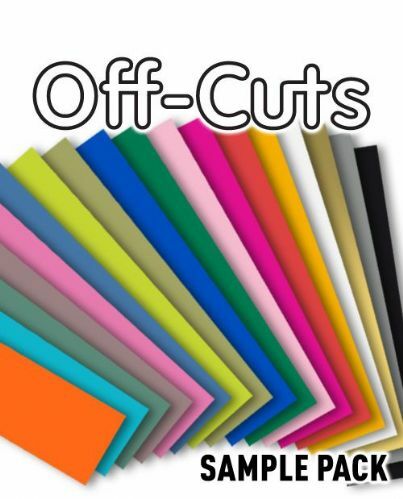 VelCut flocked heat transfer vinyl is designed for transferring solid colour logos, graphics or text onto cotton and polyester fabrics. Made from viscose rayon, it has a light furry texture and a velvety feel. FiberPrint inkjet printable flocked heat transfer vinyl is designed for transferring all types of images onto cotton and polyester fabrics. Made from viscose rayon, it has a light furry texture and a velvety feel. FiberPlus sublimation printable flocked heat transfer vinyl is designed for transferring all types of images onto cotton and polyester fabrics. Made from a special polyester microfibre, it has a light furry texture and a velvety feel. For an overview of our range of Heat Transfer Vinyl click here. Rolls or A4 sheets of flocked vinyl with a light textured furry feel!